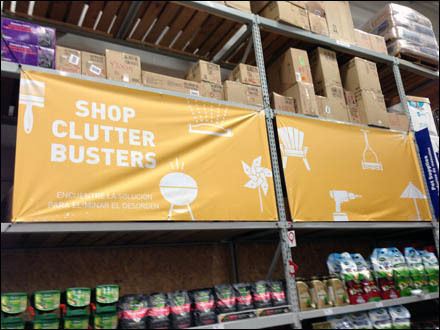 Here upper-stage Pallet Rack becomes the framework for Billboard-like Banners defining the department in two languages. 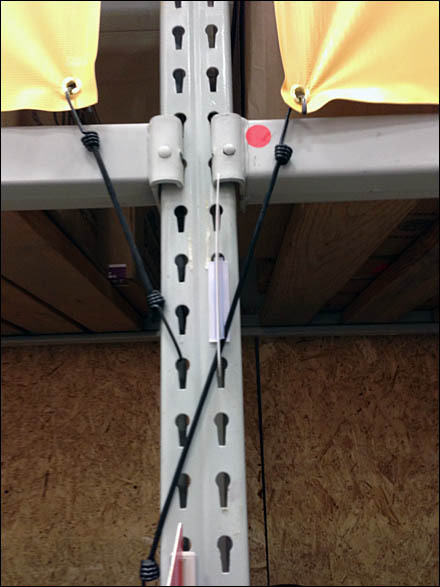 Being a hardware store means anything you need is in stock and right at hand, so various lengths of elastic Bungee Cord became the Banner anchors. CLICK the closeup to see how adaptable in length an elastic mount can be, and that Grommets save the day as load is applied to Banner fabric. For Bungee Cord posts by Title see..